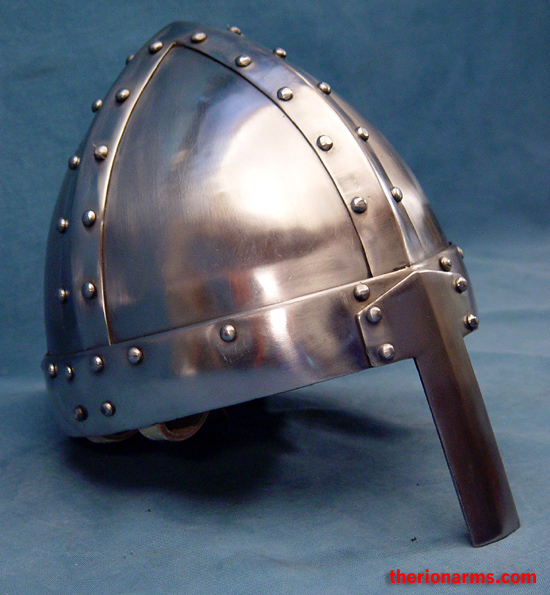 Conical helmets made up from separate metal plates (spangen) held together and reinforced with metal banding and rivets were in use as early as the 6th century and continued to be used in various forms as late as the 15th century. 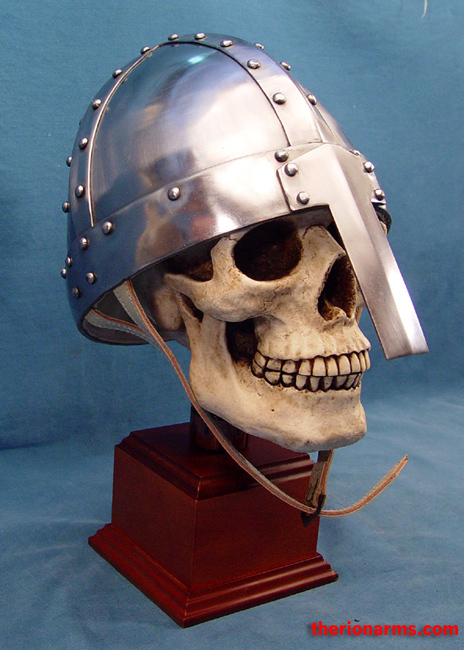 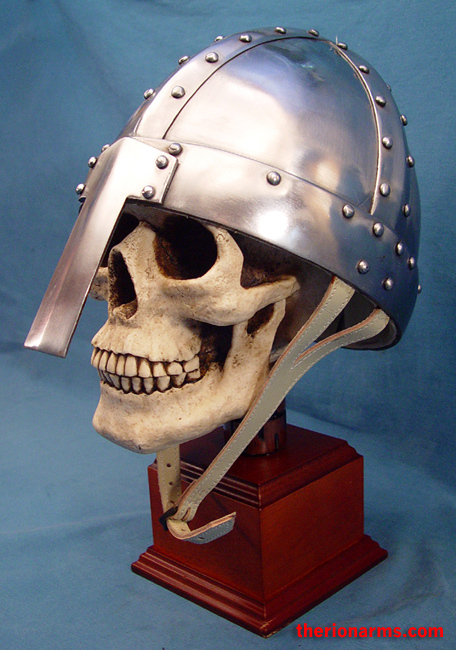 This particular spangenhelm, with the straight nasal, are typical of those in use throughout northern Europe during the 11th century and famously worn by knights on both sides during the Norman invasion of England in 1066. 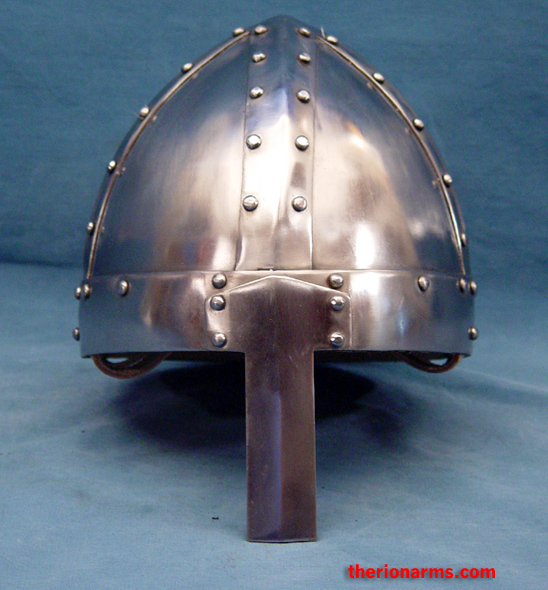 This reproduction is made from 16 gauge steel, but unlike the original 4-plate versions, the bowl is made in two parts welded together along a center line back to front. 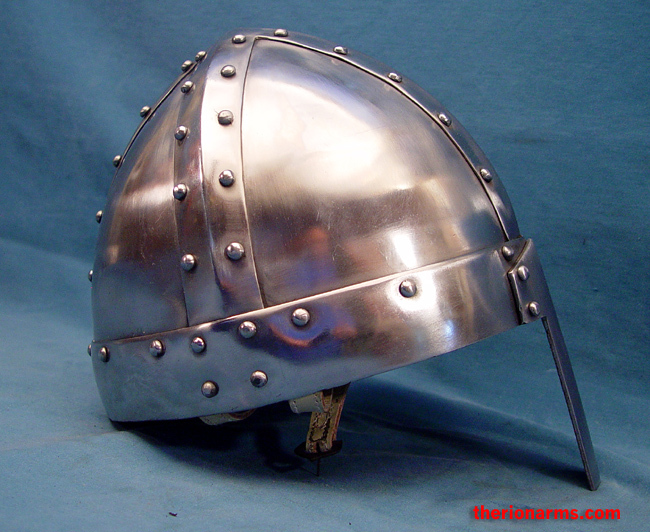 Constructing the bowl from two halves as opposed to four or more separate plates is advantageous in terms of overall strength but would have been a time consuming and costly option for armourers of the period. 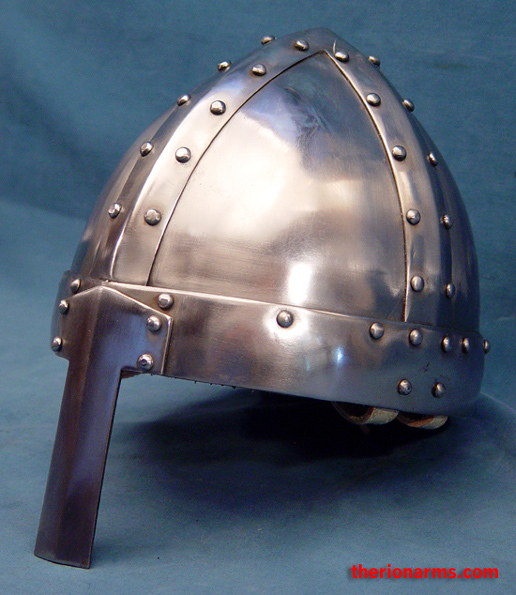 Steel rivets are used to attach the overlying banding and nose-guard (nasal) to the helmet bowl. 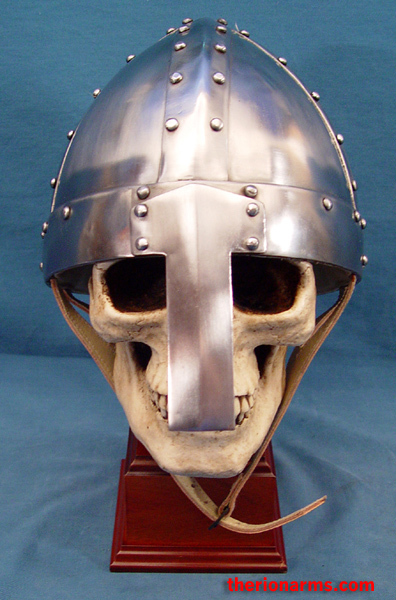 The nasal is cut from 3mm thick steel, which is creased along its entire length to increase strength and rigidity. 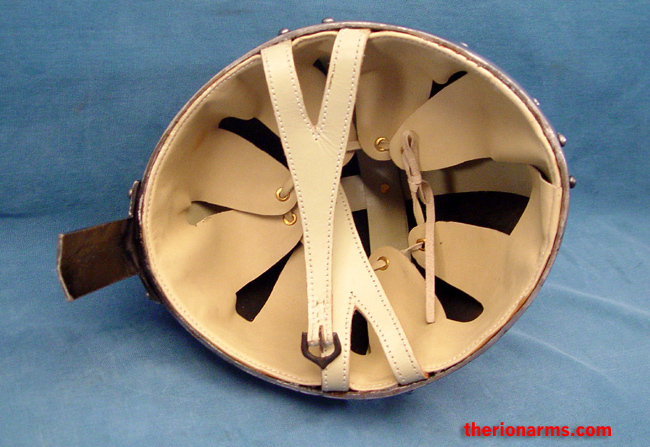 An adjustable leather liner and chinstrap is included. 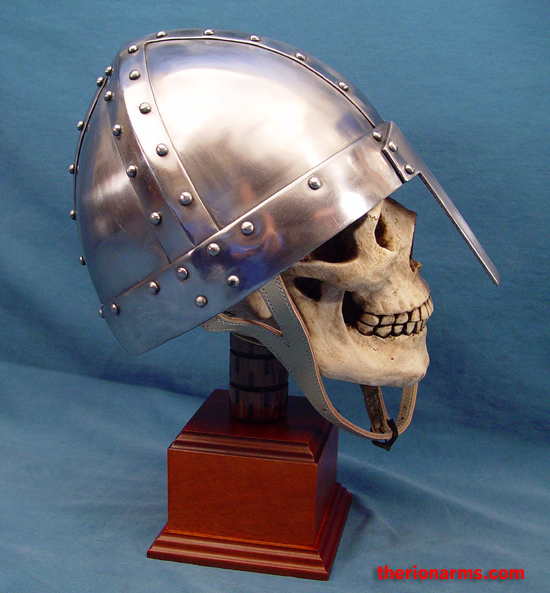 Made by GDFB - Get Dressed For Battle, who calls this style their "Spangenhelm #3". 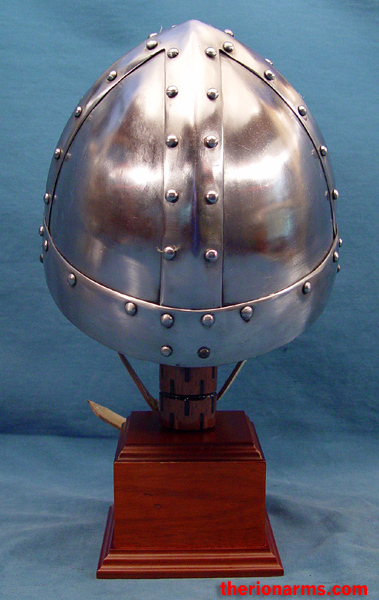 Weight is ~5 lb 6.5 oz. 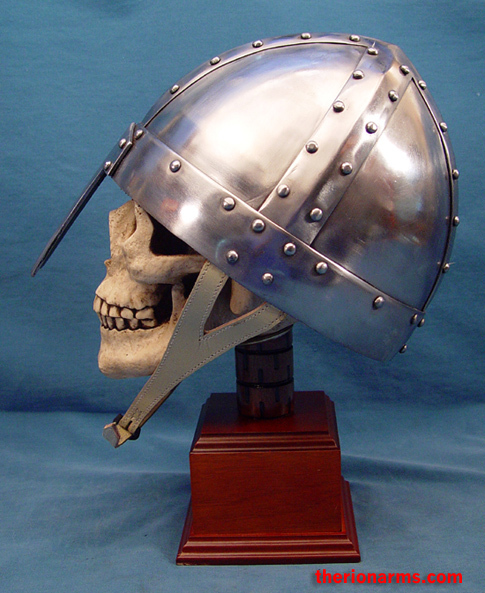 The helmet pictured above is a size Large.